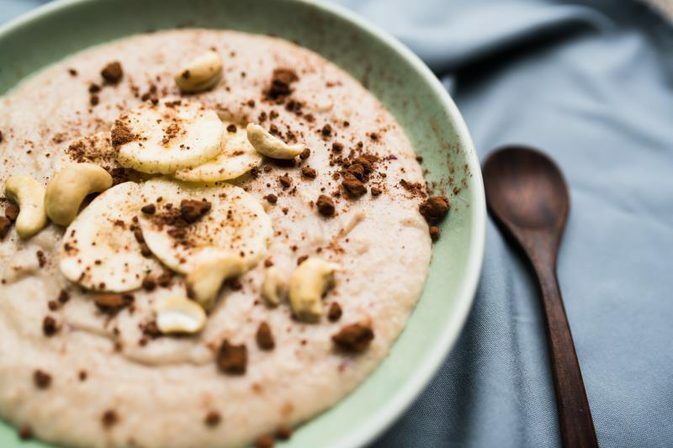 Cream of Wheat vs. Oatmeal, Which One Is Better? 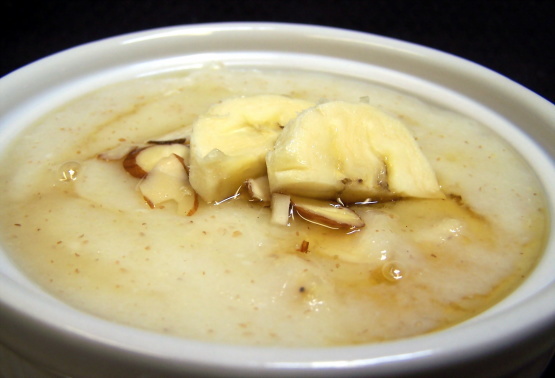 Cream of wheat and oatmeal are both grains commonly consumed for breakfast. These grains are mostly consumed as porridge served in water or milk. Which one is better, cream of wheat or oatmeal? What are the nutrient differences between these two grains? Creams of wheat and oatmeal have differences regarding their texture and flavor. Moreover, these two grains have different nutritional advantages as well. Oatmeal is made out of whole grain oats, while cream of wheat is made out of ground wheat and defatted wheat germ. Instant cooking varieties of both oatmeal and cream of wheat are enriched with various minerals, and vitamins. One cup of oatmeal contains 166 calories, while one cup of cream of wheat contains 126 calories. One cup of oatmeal contains 4 grams of fiber, while one cup of cream of wheat contains 1.3 grams of fiber. Oatmeal grains contain soluble fibers, including the beta glucan. When beta glucan is consumed daily, it can lower the levels of cholesterol by 5-10%. One important ingredient of food is the protein content. One cup of oatmeal will provide you with 5.9 grams of protein, while one cup of cream of wheat will provide you with 3.6 grams of protein. When wanting to lose some weight, oatmeal is a better choice. The more proteins a certain food type contains, the fuller you will feel. So you may consume less food. Cream of wheat vs. oatmeal! Both oatmeal and cream of wheat contain vitamins, especially vitamin B. However, they don’t contain vitamin B12 as it can’t be found in plant-based foods. Oatmeal contains folate and niacin, while the same cup of cream of wheat contains the double or triple amount. One cup of oatmeal provides you with 0.5 milligrams of niacin and 14 milligrams of folate. One cup of cream of wheat provides you with 1.3 milligrams of niacin and 45 milligrams of folate. Both oatmeal and cream of wheat are great sources of minerals. One cup of oatmeal provides you 2 milligrams of iron, while one cup of cream of wheat provides you with 9 milligrams of iron. 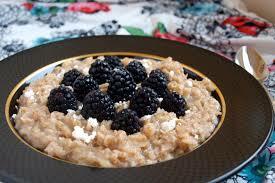 Oatmeal is richer in magnesium and zinc compared to cream of wheat. However, cream of wheat contains about 10 times more calcium than the same amount of oatmeal grains. Both oatmeal and cream of wheat are healthy food types which provide you with some important nutrients. However, it is hard to tell which one is better. It all depends on personal taste and needs. If you are looking for foods rich in zinc, magnesium, or fiber, choose oatmeal. If you are looking for foods rich in calcium, choose cream of wheat grains. Regardless of which one you prefer, you will boost your iron and vitamin B levels. Eating just cream of wheat or oatmeal for breakfast is not enough. Even though these are healthy food types, they should be accompanied with a glass of milk, a piece of fruit, or anything else you prefer. No matter which one you choose in the battle of cream of wheat vs. oatmeal, either one can serve as a great breakfast. 2 tbs. of sliced and toasted almonds. Chop the banana into smaller pieces. Boil the water, milk, and salt in a saucepan. Gradually add cream of wheat. Continue stirring the mixture until it reaches a thickened texture (usually it will take about 4 minutes). Add maple syrup and banana into the cereal mix. Serve it into serving bowls. You can put sliced banana and almonds on top of each bowl. At the end, pour milk or cream on top of each bowl. Boil the milk with salt in a saucepan. Add the oats. Stir it occasionally until the desired texture is achieved. Mix the honey, vanilla, and goat cheese. Add the above mentioned mix into the saucepan. Stir faster so that the cheese melts. Add basil if you prefer. Pour the saucepan content into serving bowls. Add blueberries, walnuts, pistachios or anything else you prefer as topping. Drizzle honey or syrup if you prefer.